Sonic the Hedgehog is coming to the big screen and production on the movie is set to get underway this summer. The speedy, blue video game hero has had a long journey to getting a movie made, but Paramount secured the rights to the character late last year after Sony had been developing a project for quite some time with no actual results to show for it. Now, things are getting serious as the movie will reportedly begin filming this July. Currently, there aren't a ton of details available for the Sonic the Hedgehog movie, but production will take place in Vancouver, Canada from July 30 till October 25, according to a new production listing. Paramount has set a release date for November 15, 2019. That will give the filmmakers plenty of time in post-production, as this is sure to be CGI-heavy, and should allow time for reshoots, if necessary. More often than not these days, big movies do have reshoots, so that's likely been built into the schedule. Story details are nonexistent for the project, but Jeff Fowler will make his directorial debut. Deadpool and Terminator 6 director Tim Miller is producing the project. The movie is said to be a mix of CGI and live-action, so this won't be a full-on animated movie. This new production listing also reveals the movie's working title to be Casino Night, which seems to be in reference to one of the zones in Sega's Sonic the Hedgehog 2. Sega President Sammy Holdings recently spoke a bit about the company wanting to expand the franchise beyond the world of video games. "We can bring Sonic to the next level and not only bring the Sonic game to existing fans, but we try to grow our fan base worldwide." Video game movies have been famously tricky for Hollywood to crack, but Sonic seems like a logical character to try and bring to the big screen. Save for Mario, Sonic could be arguably one of the most recognizable video game characters on the planet. Sonic the Hedgehog was first introduced to the world in 1991 on the Sega Genesis and rapidly became a huge success. To date, the character's various titles have sold more than 360 million copies worldwide. The character was previously brought to the small screen in the 1993 animated series The Adventures of Sonic the Hedgehog. 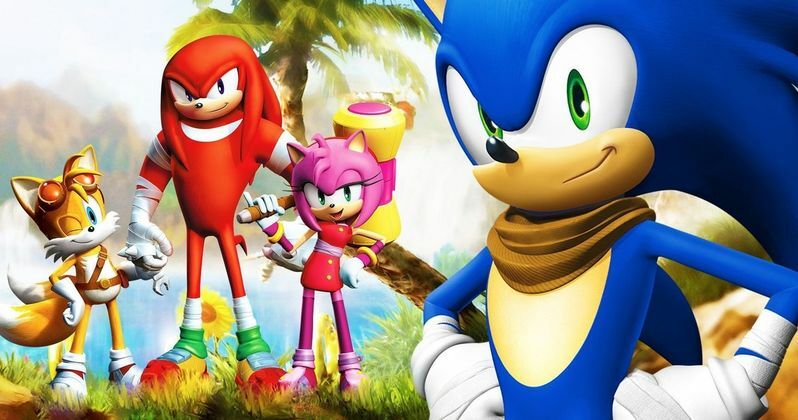 Toby Ascher, Neal H. Moritz, Dmitri Johnson and Dan Jevons are also on board Sonic the Hedgehog as producers. With filming set to begin shortly, we may be hearing some more concrete details about the project, such as casting news and perhaps a plot synopsis that will give us some idea about the take on the material. Someone has the unenviable job of figuring out how to make a hedgehog that moves really fast and collects golden rings into something compelling for moviegoers. But hey, it can't possibly be worse than the original Super Mario Bros. movie, right? This news comes to us courtesy of Production Weekly.